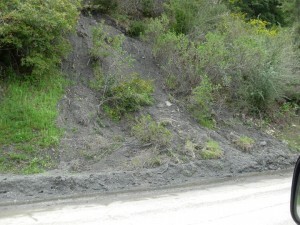 Road Damage in Southern Humboldt: Slide on Benbow Drive, south Benbow Drive. 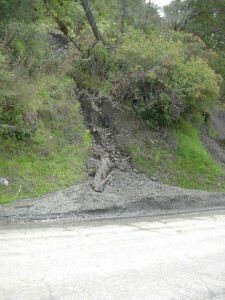 Slide cleared from road during big storms. 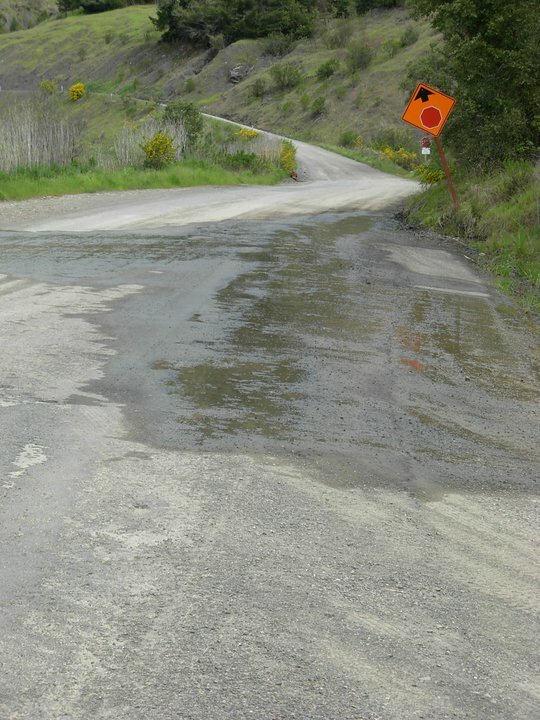 Water running onto road still after weeks of less wet weather. Potholes. 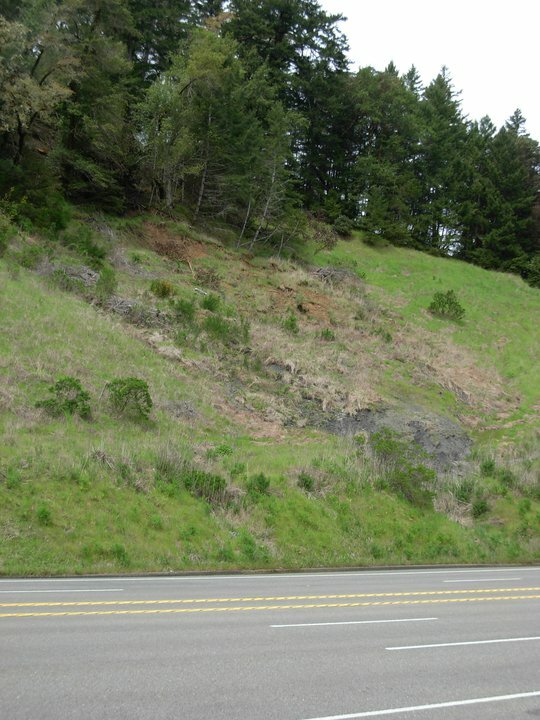 Slide Damage in Southern Humboldt: a slide just above the southbound lane of hwy 101 approximately 1/2 mile north of the Benbow Exit on Benbow Hill. Drops and sliding. It looks like it has the potential to slide to 101 if there were another big storm. Kris, I just approved the Fish Creek report. It should be visible now. I have to check this to see what’s up, because I thought I had it set so that I got email notifications when a new report gets posted. Kym is also an admin, so she should get them too. Anyone else want to be an admin, let me know and I’ll put you on the list. It’s actually quite easy to approve a post. A couple buttons to click. I’m busy cataloging all the video from the film, but once I get done, maybe I can make a screencast of how to work both the front and back end of the site. This entry was posted in Landslides and tagged Benbow, Facebook, Kris Wallan, landslide, Mikal Jakubal, photos, slide, SoHumAwareness. Bookmark the permalink.